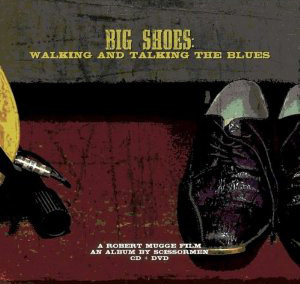 Congratulations to Epiphone's own Scissormen on their new documentary, Big Shoes: Walking and Talking the Blues, by noted filmmaker Robert Mugge (Pride and Joy: The Story of Alligator Records and the Sonny Rollins documentary, Saxophone Colossus). 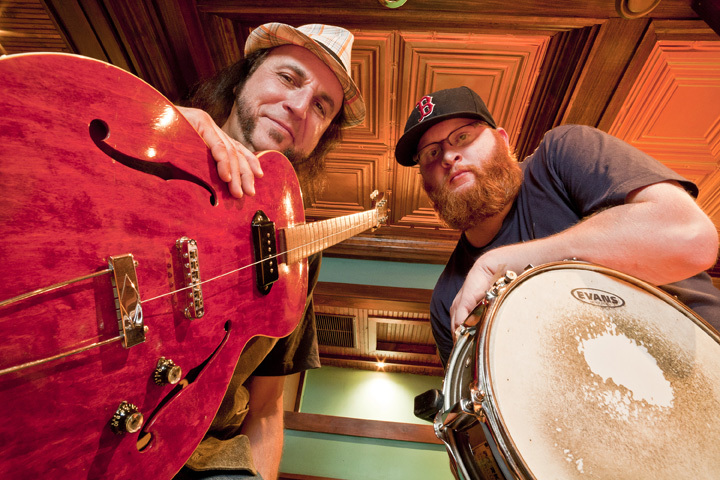 Ted Drozdowski and Scissormen have a growing and rabid following around the U.S. for bringing juke joint blues back to where it belongs, the dance floor. Scissormen visited the BMI office in Nashville recently to show clips from Big Shoes and--of course--give the audience a taste of the real thing (though Mugge's film comes as close as humanly possible to putting you right in a Scissormen juke joint experience). To witness Ted live on stage is a little like willingly sitting on the tracks while a Silver Streak comes barreling right at you. As Mugge himself says in the liner notes to the new soundtrack, "Scissormen is simply incendiary," probably one of the few understatements in rock and roll today. 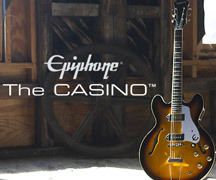 For the BMI show, Ted was all decked out in Epiphone including an Epiphone Dot and a one-of-a-kind vintage Epiphone Century/Diddley-Bo. Ted gave the Century a new lease on life after it suffered what most guitar players would consider a career-ending neck break. 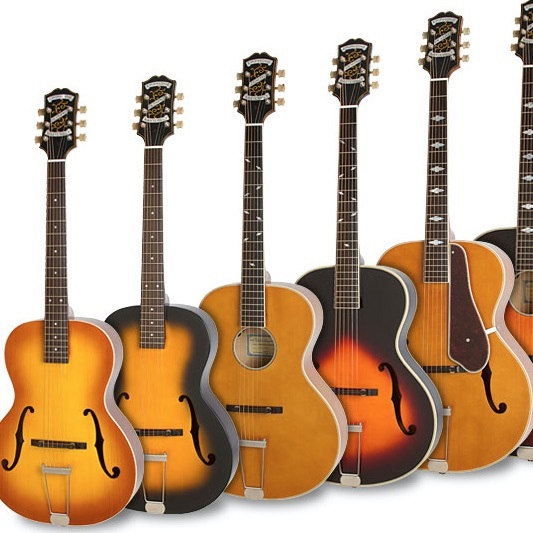 While vintage collectors would have taken the Century out back and put it out of its misery, for Ted, it was just another opportunity to bring the duo closer to the heart of the juke joint. As the old saying goes, there's nothing more dangerous than a wounded animal, and now, thanks to some nails and some industrial strength glue, Ted's Epiphone Diddley Bo and its vintage P-90 pickup, are--well, let's just say--a beast to be reckoned with. At the BMI show, the Century-Bo gave the audience an astronaut worthy blast of about 1.7 G's that would have certainly rattled the fine china at the White House had Scissormen been invited to the recent Red, White, and Blues dinner. Maybe next year. Catch Big Shoes and Scissormen in your town soon.